Ceilidh-Bug is a unique and gentle character and is probably the sweetest dog I’ve ever had. Not shown much in Canada she did pick up a few points and a BPIG before we moved to Switzerland. 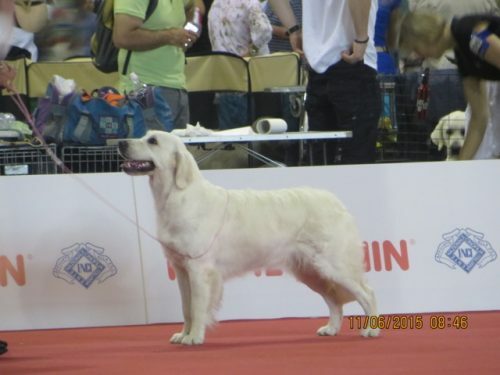 She was shown a fair amount in France, Switzerland and the UK. 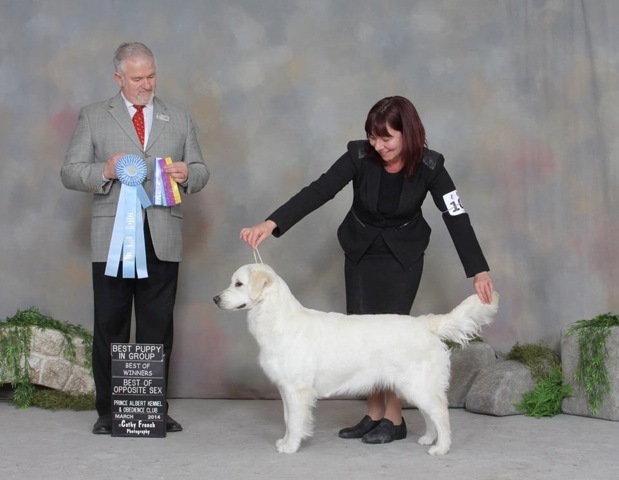 In Switzerland she was awarded a CAC and a couple RCAC’s, in France she never walked out of the ring with anything less than an “excellent” evaluation. Shown in the UK, she was almost always in the cards at Champion shows there. She’s a pretty, feminine girl with balanced angles and a sound conformation. Now that we are back in Canada, we hope to finish Ceilidh’s champtionship once she is done with her mothering duties. Her first litter is due any day. See “Litters” for details.